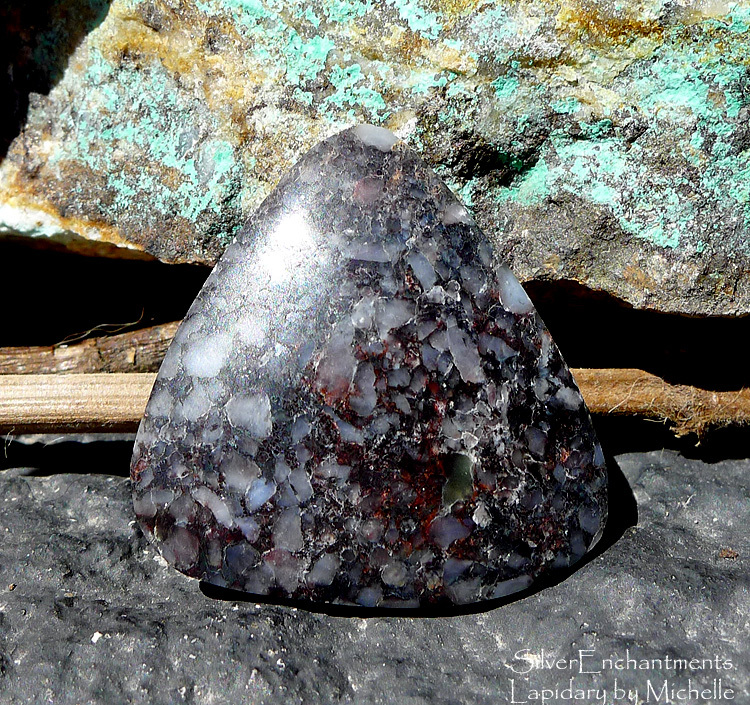 This unique designer cabochon was cut from quartzite gabbro self-collected on our homestead which located within eye-distance of the famous Mescal Old Tucson Studios. 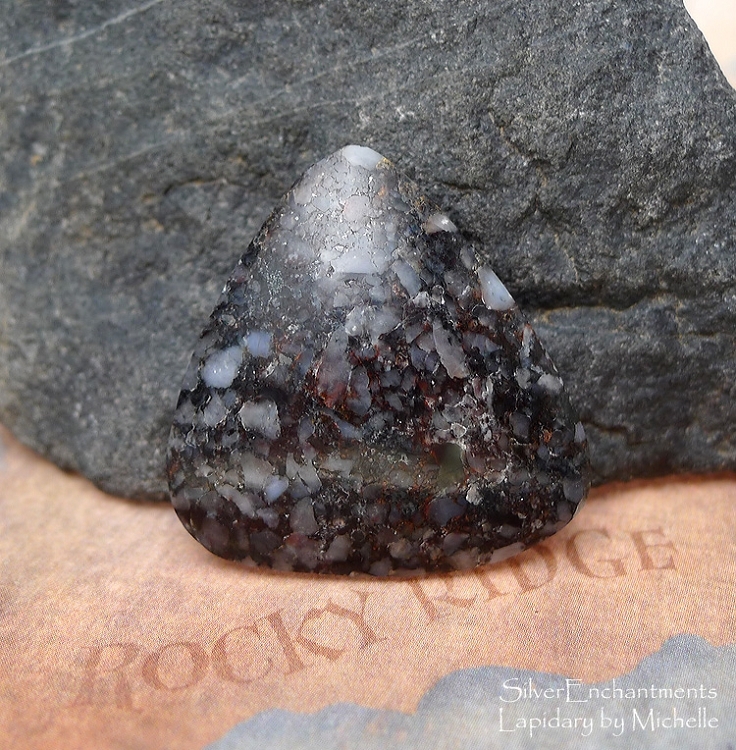 Take it out into the sunlight and turn it to see shimmering glints of what appears to be mica. 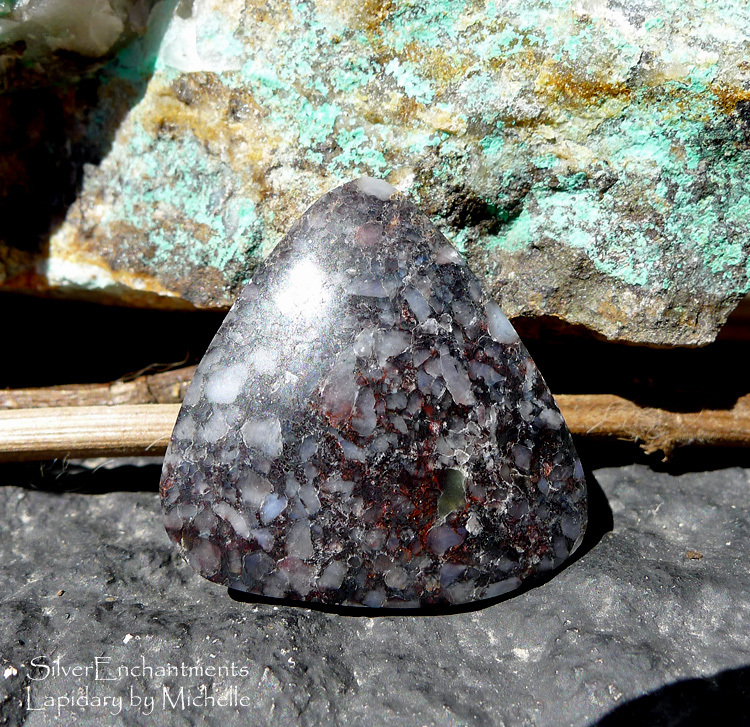 Cabochon measures 30.5mm long (1.20") by 30.7mm wide (1.21") by 7.4mm at thickest point -- will make an excellent addition to any rock and mineral collection - or wrap to make a superb one-of-a-kind pendant. 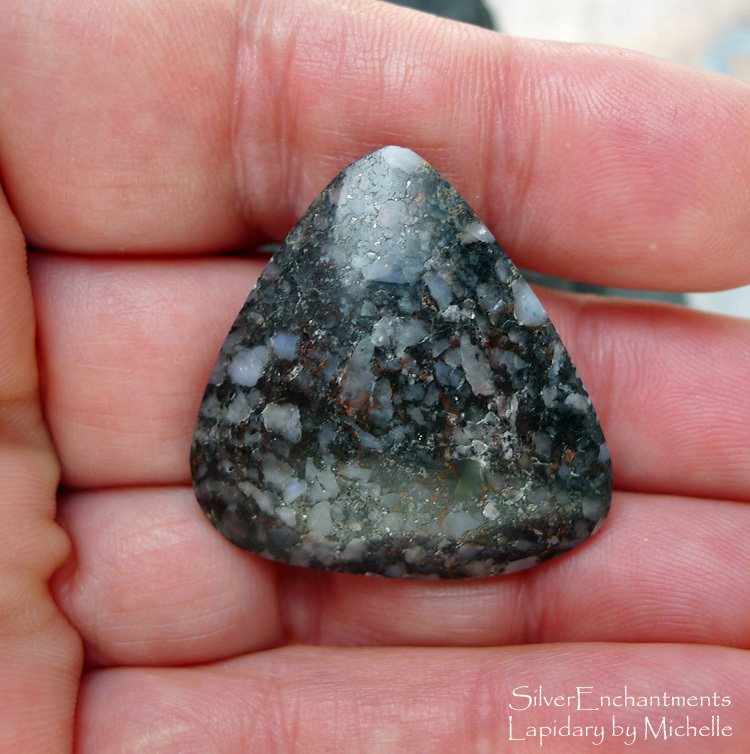 Silver Enchantments Lapidary by Michelle designer cabochons are always handmade and diamond polished to the highest shine the stone will allow. The backside of our cabochons are considered semi-finished. They are diamond sanded to at least 220 grit, may contain flaws not visible from the front of the stone, and will generally have a slight edge bevel to reduce the chance of chipping. 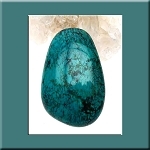 All of our cabochons will have a girdle that is polished to around the same level as the front of the stone and is suitable for wire wrapping or silver work. On stones sold as a loose cab we do our best to provide a girdle of equal height around each stone, but due to the infinite hardness variability of natural stone materials, girdle heights will vary in places and from stone to stone.